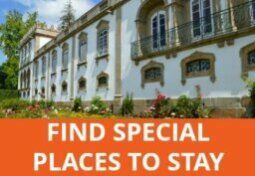 If you’re going to be spending Christmas and New Year in Portugal, either as an expat or on holiday, this post is for you. Find out how and where to celebrate, how the Portuguese do things and what events are going on during the festive season. So, should you stay in the relative warmth of your adopted country or wrap up warm (depending on where you’re from) and head back to your people? My own family commitments have meant that I’ve spent most Christmases back in the UK, in a whirl of visits to family and friends. I’m not a fan of the festive period and find the whole experience quite exhausting and stressful. I would much rather see my loved ones at different times of the year but it’s not entirely up to me. If you do plan to travel back to your home country, all I can say is book your flights/transport well in advance to get a good deal and keep your fingers crossed that snow doesn’t interfere with your travel plans. 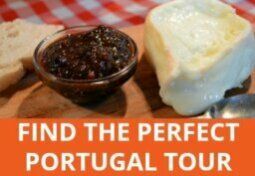 If you’re staying in Portugal and want to celebrate the way you’re used to, it’s possible to get most things here. Especially if you’re willing to order online or get friends to send you things like crackers. Now that Amazon.es do free delivery to Portugal (if you order over €29 or €19 in books), it should be much easier to stock up on all your Christmas needs. Real Christmas trees are available in Portugal but you have to be quick to nab one. They tend to go on sale relatively early so don’t leave it until the last minute. You can buy all the tinsel, baubles and other Christmas decorations you could ever want from high street stores. Christmas cards, however, are still a novelty. Nor will you find crackers, cranberry sauce or mincemeat/mince pies readily available, except perhaps in the expat enclaves in the Algarve or ‘foreign’ grocery stores in larger cities/’food for Brits’ style market stalls. Order these online from British Corner Shop if needs be. I spotted whole turkeys in Continente last year but you could just buy smaller pieces from the butcher if you don’t need that much. You may be lucky enough to track down some brussel sprouts, although they are most likely to be frozen ones. Parsnips are a rare find and you’ll be lucky to find frozen ones if you don’t plan ahead. We tried growing some one year but they were rubbish. Other people have been more successful though. Port wine, of course, is plentiful. Stilton is usually available in places like El Corte Inglês or larger supermarket chains. There are plenty of other blue cheese alternatives and Portuguese cheese is wonderful so why not make the most of it. If you feel like mixing in a few other Portuguese Christmas treats, this list of traditional festive fare may help. If you’re alone or would prefer a larger group of people to celebrate with, expat-oriented restaurants and fancy hotels often put on a special Christmas or New Year meal so look for these and book ahead. The Portuguese do things differently. Whereas in the UK, and the US, the main celebration of Christmas takes place on December 25th, it’s different here. The family dinner of bacalhau (cod), special cabbage and potatoes plus a mountain of cakes and sweet things happens on 24th, as does the exchange of gifts and deliveries from Santa/Jesus. At midnight, those that want to can attend a Christmas mass where they admire the nativity scene and kiss the baby Jesus. The 25th is a day to sleep late, have another family meal, this time with a meat dish, and relax as almost everything is closed (museums, restaurants, shops). By the 26th, it’s business as usual. 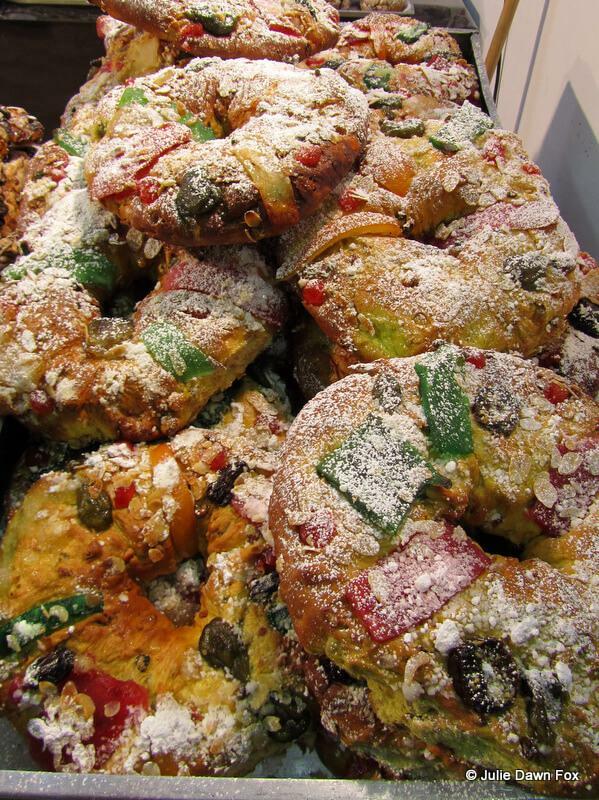 Known as Bolo Rei (King Cake), this is a far cry from the heavy brandy-laced fruitcakes I grew up with. These are a ring of brioche pastry with port wine, filled and topped with dried and crystallised fruit. They contain a broad bean and used to hide a little good luck charm but that tradition has been banned for health and safety reasons. Whoever gets the slice with the broad bean provides the cake for the following year. I much prefer the Bolo Rainha (Queen cake), which substitutes the dried fruit for nuts. Christmas just wouldn’t be the same without a Bolo Rei. It’s more bready than cakey but filled with nuts and candied fruit. If you’re holidaying in Portugal over the Christmas period, you’ll find the only disruption to your sightseeing and shopping will be on 24th and 25th December and 1st January. On 24th, businesses will close early, if they open at all, and almost everything will be closed on 25th. If you’re in Lisbon, Porto or the Algarve, you should be able to find a few Indian or Chinese restaurants open but it would be wise to plan and book ahead rather than leave your evening meal to chance. 5-star hotel restaurants will be open, and some 4-star but it always pays to check. Either book into a hotel with an onsite restaurant or consider self-catering if you’ll have time to stock up on groceries before supermarkets close, ideally on 23rd. I’ll go into more detail about New Year’s Eve celebrations later but suffice to say that restaurants will likely be more expensive and busier than usual on 31st and many will have a set menu and include the sultanas and espumante so book ahead. January 1st is another day to work around as almost all museums, shops and businesses will be closed. 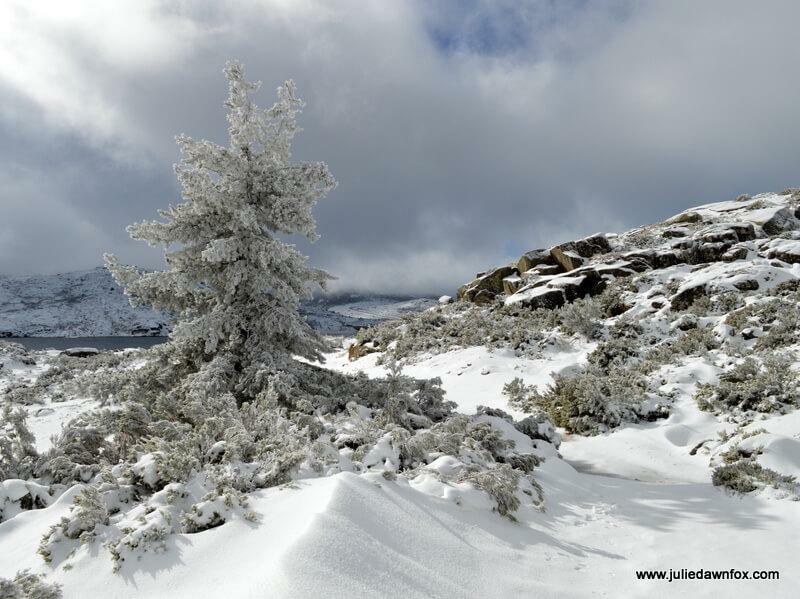 If it’s not Christmas without snow for you, you need to be heading for the Serra da Estrela in central Portugal, the country’s only ski resort. The hotels here will have special packages for the festive period so you can snuggle up in front of a log fire and gaze out at the white wilderness. Christmas lights are a big thing in Portugal, especially in the cities, and most will be switched on by the end of November. São Martinho do Porto launched Europe’s biggest floating Christmas tree a couple of years ago and celebrated with fireworks over the bay. Águeda, the town in central Portugal that’s become known for its umbrellas in the streets during the summer months, boasts the world’s biggest Santa (in lights, not human). Elsewhere, decorations vary from the sublime to the ridiculous with many smaller towns proudly displaying the recycling feats of local schoolchildren. As you might expect, the biggest and best lights will be in the main squares and shopping areas, along with the tree. Lisbon’s biggest tree is in Praça do Comércio, aka Terreiro do Paço with a smaller one in Rossio and the best lights can usually be found along Rua Augusta and in Rossio. The main Christmas tree in Porto will be outside the City Hall at the top of Avenida dos Aliados and you can find out which Porto streets have illuminations here (the list is from 2017 but I doubt it will change much for 2018). 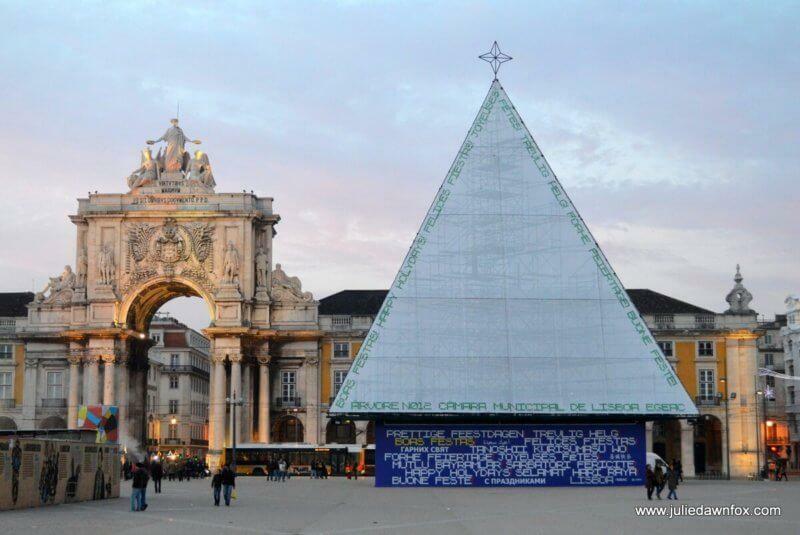 Coimbra’s ‘tree’ will be in Largo da Portagem, although there’s usually a better one in Dolce Vita shopping centre. I said that Christmas is relatively understated in Portugal but by no means is it ignored. Several places around the country go all out with fairs, events, nativity scenes, ice rinks and Christmas markets between the end of November and around the 10th of January (check exact dates for specific events). Note, I am keeping a close eye on news and will update this with 2018 dates and events as soon as I get the relevant information. Viseu’s Christmas market is now in full swing, with concerts, street performers and puppet shows to complement the stalls selling crafts and Christmas gifts. Coimbra’s Municial market has a nativity scene and there’s an ice rink in Terreiro da Erva and for the first year, there’s a Christmas market opposite the Alma Shopping centre and lots of free concerts and entertainment over the next few weeks. Óbidos transforms into a winter wonderland each year and the medieval village of Penela and Monsaraz become living nativity scenes (presépios). The salt producing town of Castro Marim in the eastern Algarve uses salt as snow in their nativity scene but the biggest nativity scene in the Algarve is in the António Aleixo cultural centre in Vila Real de Santo António. If you’re in Lisbon, seek out some of the 17th and 18th century nativity scenes made for the aristocracy at Estrela Basilica, Mártires Basilica, Lisbon Cathedral, the National Museum of Ancient Art and the National Tile Museum. They’re not to my taste at all but are remarkably detailed. Lisbon‘s exhibition centre is hosting Natalis, a massive Christmas market from 5th to 9th December 2018, as it does each year. As well as entertainment for all ages, there are workshops, competitions for best nativity scene and decorations and a Santa race. There’s also a series of classical music concerts in the city’s churches. Check out the agenda for Christmas concerts and events in Lisbon for 2018. Wonderland Lisboa is a massive Christmas fair with free entry in Eduardo VII park open from 1st December to 1st January with music, fun fair rides, food and drink, ice rink and a cave plus other seasonal entertainment. Monday to Thursday 2 to 10 pm, Fridays 2 pm to midnight, Saturdays and Holidays 10 am to midnight, Sunday 10 am to 10 pm, December 24th and 31st 10 am to 4 pm, December 25th and January 1st 4 to 10 pm. Porto usually has two ice rinks, one in Praça Dom João I and another in Praça de Mouzinho de Albuquerque. Support local artists by buying handmade crafts and art as gifts and decoration from the Artesanatus fair in Largo do Amor de Perdição I or the Christmas market in Praça da Batalha. For the full list of Porto’s Christmas events, click here. I will let you know when I find out more about the activities planned for the festive season in Coimbra. For now, all I know is that for the first time ever, Coimbra will have a Christmas market, opposite Alma Shopping centre, from December 7th to 23rd. 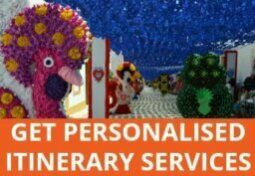 As for the Algarve, various websites have information about Christmas markets, concerts and other events over the festive period, such as the Algarve 365 cultural events programme. The Portuguese way to bring in the New Year is by eating 12 raisins, one for each month, and making a wish with each one. Many hotels and restaurants will offer packages for New Year’s Eve with meals, drinks, music and raisins included. These are usually advertised from early December. If not, buy your own beforehand and join the locals in a public square (see below) to join in the celebrations. Make a toast and wash them down with some espumante (sparkling wine) then enjoy the fireworks before dancing, and eating, the night away. Funchal in Madeira has the most famous firework displays but last time I looked, hotels in Funchal were pretty much booked up although more flights have been laid on. Your best bet if you haven’t booked way ahead is to try the travel agents to get a package deal. 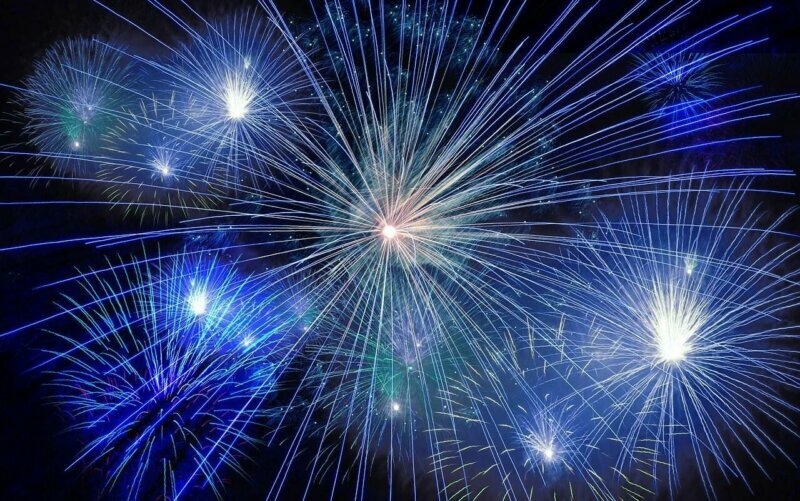 Mainland Portugal offers some great New Year’s Eve celebrations too. People gather in various parts of Lisbon for fireworks and DJs. Praça do Comércio offers great views of the fireworks over the River Tejo but you can also have fun in Parque das Nações, near the Torre de Belém or across the river in Almada. They haven’t had permission from the council yet but sometimes Castelo de São Jorge opens its gates to allow revellers to see the firework displays from all across the city. If you want to party the first few hours of the new year in the streets, Bairro Alto and Cais do Sodre are the places to be. For the fifth year running, Porto is offering a free street party in Avenida dos Aliados with fireworks, DJs and big name musicians. In Coimbra, there’ll be a similar party going on in Largo da Portagem. Praia da Mira, one of my favourite beaches in Central Portugal, is hosting a massive NYE party plus a Glow Run on the 30th and a fashion show on December 29th. The place to be in the Algarve is Praia dos Pescadores (Fisherman’s Beach) in Albufeira, where the fireworks are followed by a concert, although there is plenty of fun to be had in Tavira, Portimão, Faro and other major towns. Further up the coast in the Alentejo, you can join outdoor revellers in Vila Nova de Milfontes, Sines and Porto Covo. How will you be celebrating Christmas and New Year? Amazing!! Thank you Julie this was very well written I’m looking forward to spending Christmas in Lisbon! 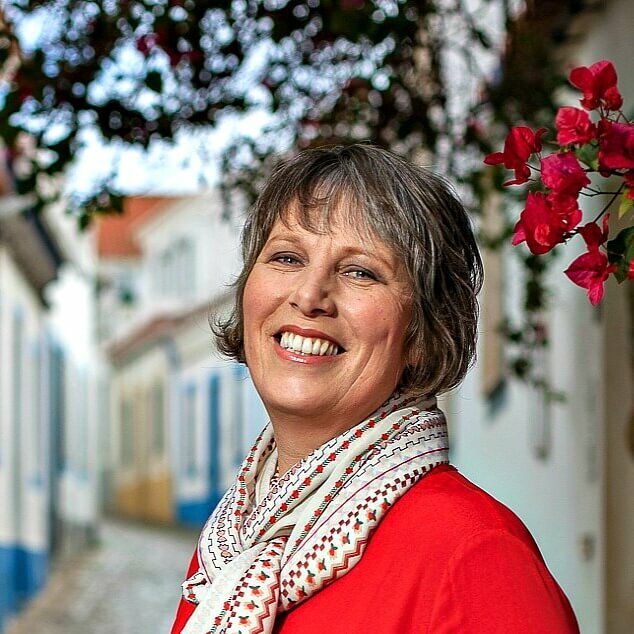 I was looking for expats’ take on Christmas in Portugal to pass on to my British friends and fortunately stumbled on Julie’s blog. Can I first apologise for the two nasty comments posted here by two people with (apparently) Portuguese names. They clearly did not understand the appreciative comments made by everybody else. And even if those comments had not been appreciative, maybe asking Santa/Jesus for a more robust ego that can take and learn from criticism could be a good idea. In any case, visitors to Portugal know that the average welcome here has absolutely nothing to do with that nastiness. Julie, I found your comments very insightful. Though less frantic than the likes of London, I find Xmas here in Lisbon frantic enough, but the fairy lights in the streets are beautiful this year, and there’s a videomapping show on the Terreiro do Paço façades again. One “correction”: the fava bean hidden in the bolo rei tradition lives on, you get it, you pay for next year’s cake. Only the trinket was banned for health & dafety reasons (children could choke on it – makes sense, though I never heard of a single case ever). And not only because of abstract EU. We don’t need the EU to come up with over-the-top H&S regulations, we can be very creative with our own (like bread in plastic bags in restaurants – thankfully scrapped in the meantime) – something I’m sure you can totally understand coming from the UK. Hi Garry, Thanks for sharing your experience. I also saw the melted ice rink but wasn’t able to catch the video mapping show in Praça do Comércio, unfortunately. It sounds as though you had a great time! Julie, thanks for your well-written and insightful articles. I am lucky enough to be able to hit Lisbon and surrounding areas for four days at the end of this year. This Texan loves to experience other cultures and will try the bike tour and hopefully take about 500 pictures. I was fortunate enough to have just completed a Viking River Cruise on the Rhine, so I can actually say that I have had my fabulous fill of Christmas markets (numbering in the dozens), I want to soak-in Portugal and it has taken me way too long to get there. Cheers, or Howdy from Texas! Hi John, I’m sure you’ll thoroughly enjoy it! And the light is often great for photography in Portugal. Hi Julie, thanks for your timely greeting here. I’m really looking forward to the low-key break, and to meeting my Alfacinha, Brazilian and Philipino friends sometime during next week. The Christmas emphasis in Portugal, as I see it, is on spiritual and family celebration, rather than the commercial razamataz that characterises much of the season in UK. This is to the greater credit of Portuguese people, I’d say. Your similar remarks on this matter chime for me. More broadly, I follow the political, economic, and social affairs of Portugal closely, and hope that my frequent visits contribute in a small way to the greater benefit of its economy, and to social inclusion there. Unsolicited remarks from residents and business people I’ve met with in Funchal, Lisbon, Porto and elsewhere, suggest I have indeed done so. I see some cultural and economic similarities between Portugal and my native Wales, and this interests me, compelling me to be an advocate for both, particularly with regard to economic development and cultural exchange. Julie, I too share your disdain for Chrismas in UK. As a boy I was spoilt, and couldn’t wait for Christmas’s and birthdays. Now, as a retiree, I prefer to avoid both. I’ll be in Lisbon again next week, my fifth to Portugal this year, and look forward to the ‘low-key’ way that Portuguese people celebrate this event. I’m also planning a visit to Coimbra next February, or more likely March. Following a recent meeting with a postgrad student friend, where we talked about Portugal and our respective study journies, he too is planning a visit to Coimbra University next year. When I next email him I’ll bring your website to his attention. Scrooge Gary, get the hell out of our country, we don’t morons and idiots who want to destroy other people’s joys! Pyla, I think you’ve very much misunderstood Garry’s comment and there is absolutely no need for such a nasty response. It’s hardly an example of the joy and Christmas spirit you seem to want to protect! I spent 10 days last winter, just after Christmas, in Madeira to catch their New Years Festivities. I will admit I booked my flights 9 months in advance as I had to secure them. Being from Canada, I found that I was able to reap the savings! And we did. The total cost for 2 was what would have cost for one person, had we left it for last minute (and that’s if there are any seats) May I recommend renting a condominium, as we did. We were right on the main road, just up from Reids Palace. We walked every day, but bus service is frequent. Highly recommend New Years IN Madeira. Sure in Dubai, London etc, it may be more jolly, but for a small island, I tell you, I was amazed! This years will be so boring in comparison to 2015! Thanks for your suggestions, Hilda. It’s great to hear from those who’ve had first hand experience of these things. Like you, I’ll book way ahead of time if I do decide to go there for NYE. I hope you enjoy them, Anita. You’ll find some great gifts, for sure. 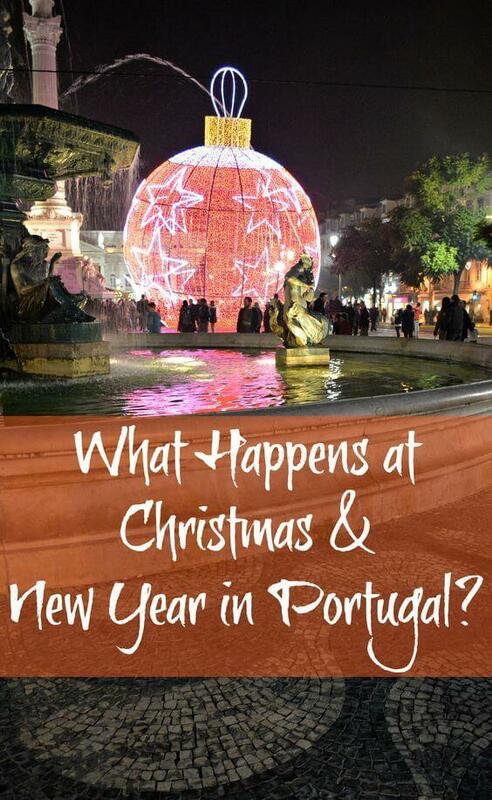 Lets be honest here – there’s bugger all to do in Portugal over Christmas! If you don’t want to experience Christmas, Portugal is a good place to go, but IMO, that’s a pity. Best get into the Christmas spirit in a different country. If you don’t like buying gifts for friends, an easy modern solution is to buy food and drinks from some of the nice shops that already offer them packaged nicely. Hi Eddie, thanks for sharing your thoughts. I’m quite happy to ignore Christmas altogether so the low-key approach suits me just fine. But you’re right that those who are used to and like more activity will find it somewhat underwhelming. Wow! I really enjoyed this article, Julie. Crammed full of information about Portuguese Christmas traditions. Sounds to me like they have the right idea – one gets totally disillusioned with all the hype we’re fed in the UK, starting many weeks before the great event! Hi Vivienne, I’m quite a bah humbug so I like that Christmas doesn’t intrude too much in Portugal. Although I end up going back to the UK most years, it’s only because of family and not because I want the hype. Last year was lovely! Cynics should leave Portugal, we don’t need any more!